That water covers 2/3 of our planets surface but only 0.002% is drinkable. At present already 4 billion people face water shortages. 70% of usable water goes to irrigation. Lanzarote is just 70 miles of the coast of Africa and has the lowest rainfall in Europe. This year the drought in the Horn of Africa threatened the lives of 11 million people. Every year America faces a drought in California, as did Rome this year, In Cape Town there has been a drought for the last 6 months, water restrictions of level 5 are in place and day zero approaches possibly by end of the year as no rain will be coming there before May 2018. The James Bond ‘Quantum Of SSolace scenario may not be fictional. Water shortages have always been a catalyst for conflict, they remain so today and will increase more in the future. That’s not much fun at all, sorry ☹.We understand that environmental issues are always spoken of in global terms …. global warming, world water shortages, a catastrophe for our planet … and so on. It becomes a bit overwhelming really and gives the feeling that impacting any change is beyond us as individuals. Let’s bring the story home, to Finca de Arrieta. 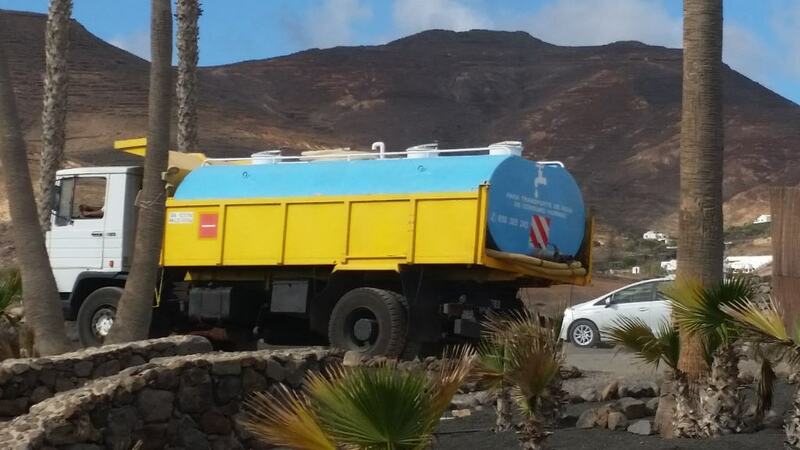 Here in Lanzarote we have no rainfall to speak off, the mains water comes from a desalination plant in Arrecife. This plant burns diesel to fuel its generators. The cost of this to both the environment here, as well as financially to us, represents a major issue for our business. For several years we have pulled water from our natural well which is over 100 years old. 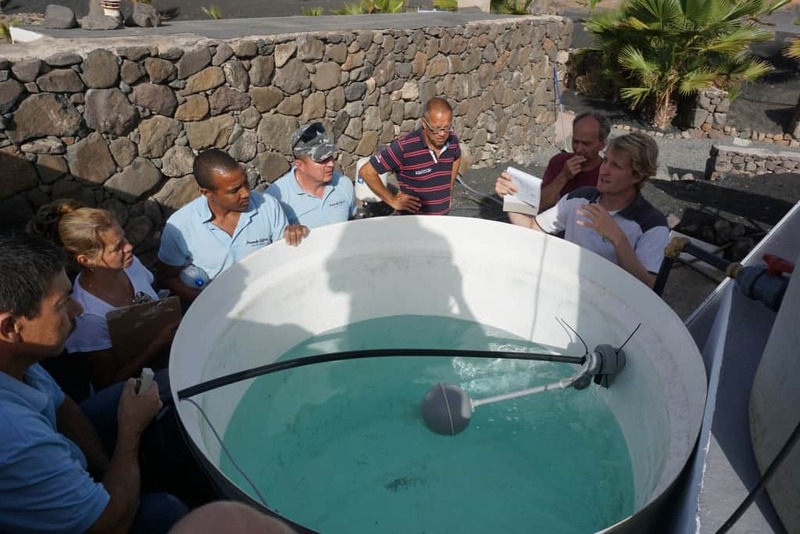 We use this water to top up the pools, however it is water filtered from the sea mixed with scarce rainfall filtered down from the mountains. Due to this, it has some salt content so not suitable for wider water needs such as guest kitchens / showers etc. To compensate we have needed to bring additional water in via tanker which also has a negative impact and high cost. We wanted a better solution, a process for supplying water that would best represent our ethos and serve as an example of a sustainable solution that is both viable and affordable for many others. After all, we have always worked on the basis that giving people an experience is far more powerful than preaching about change. 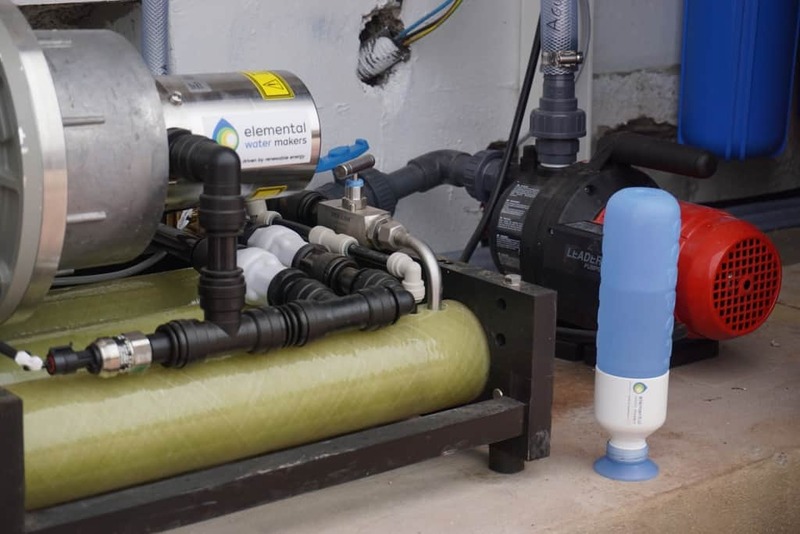 Our research led us to the doors of a brilliant Dutch company, Elemental Water Makers, partnering with them meant we had the professional team to make our dream become a reality. 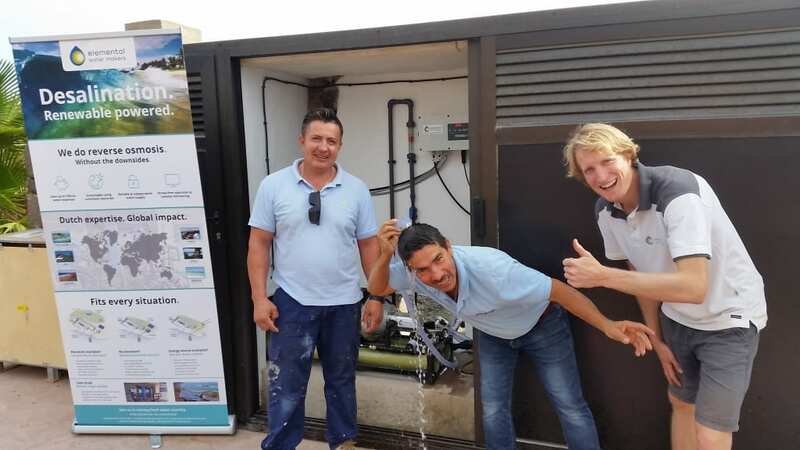 The result is our very own water desalination solution run on our own solar power. We believe it is the first independent solution of its kind in Spain. But what does this mean? Simply put we can now take our well water and put it through our own system, powered by the Sun, this system produces tonnes of pure, beautiful water. With the same amount again as a bi-product with some salt in it (about 30% of the amount found in seawater and ideal for pools). The cost of the installation will soon be recouped in the savings we have made with our water supply, like our power, now being 100% off-grid! We are now planning to add therapeutic pools to some of the accommodations (the salt water is amazing for skin allergies). We have all the power and water we need to help support your luxurious stay with us!! 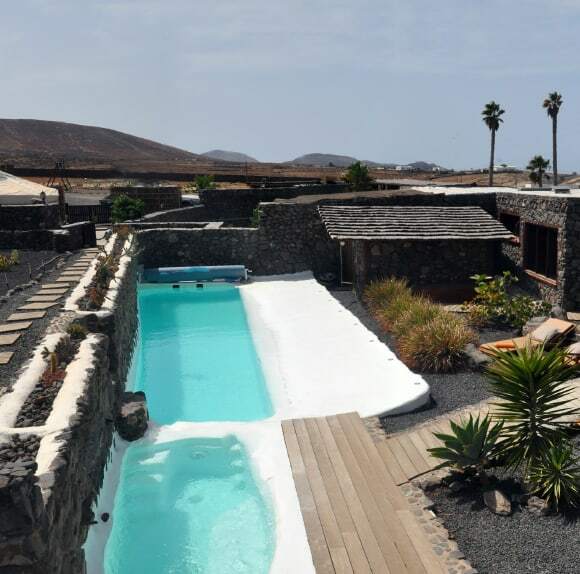 Julian Wooley on behalf of Lanzarote Retreats. 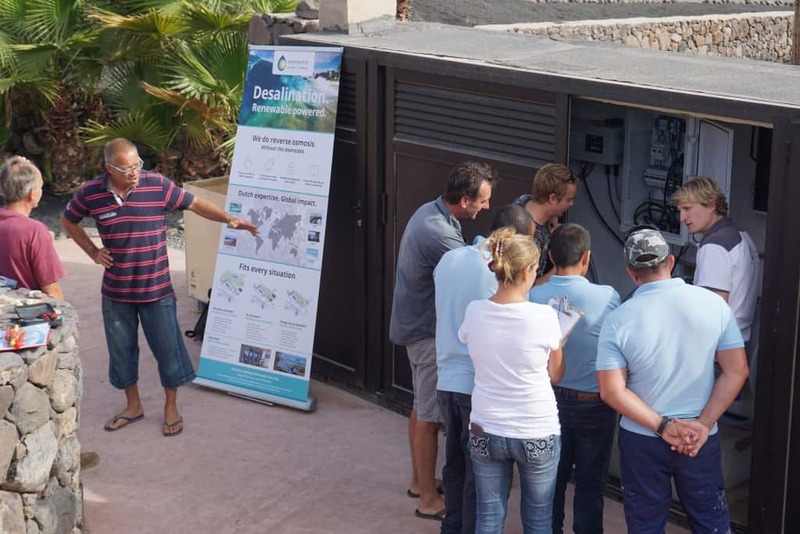 Eco resort using efficient desalination. 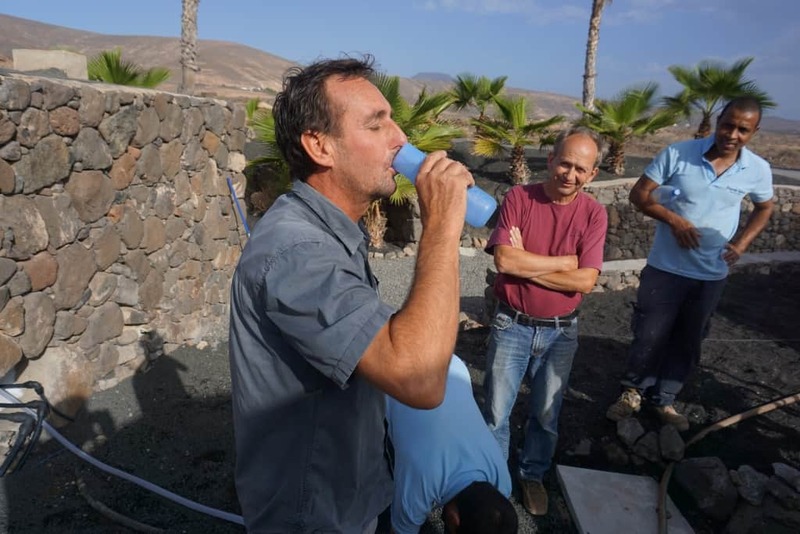 ”A special thanks to Elemental Water Makers who joined forces with Lanzarote Retreats to achieve their sustainability goals. The Dutch team made it possible for our eco-village to become independent on water. We are naturally powering the desalination unit by harnessing the wind & sun.